This month, I had a bit of fun with Kae Pea's Mid-Century Modern stencil. 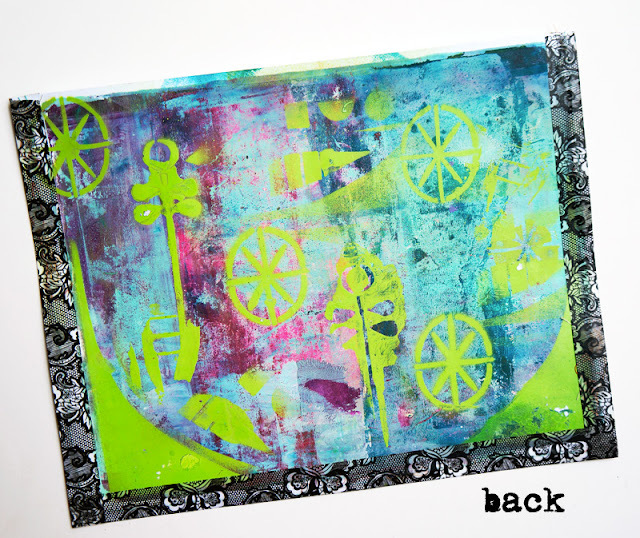 I have a bunch of scrap gel prints from playing with my gelli plate hanging around my studio, as well as stencils, both purchased and hand-made, so I thought I'd make myself a little folder to slip them into. With all that I have, I need a bit of stencil organization! 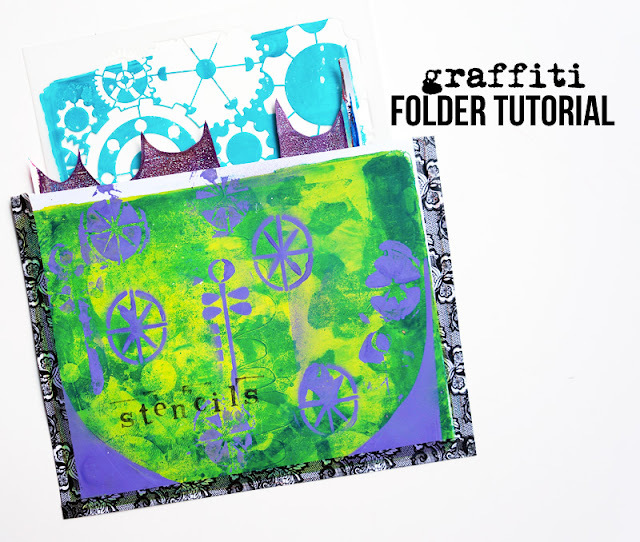 This fun, easy project lets you create a bit of graffiti, play with washi tape, and get out your spray paint. 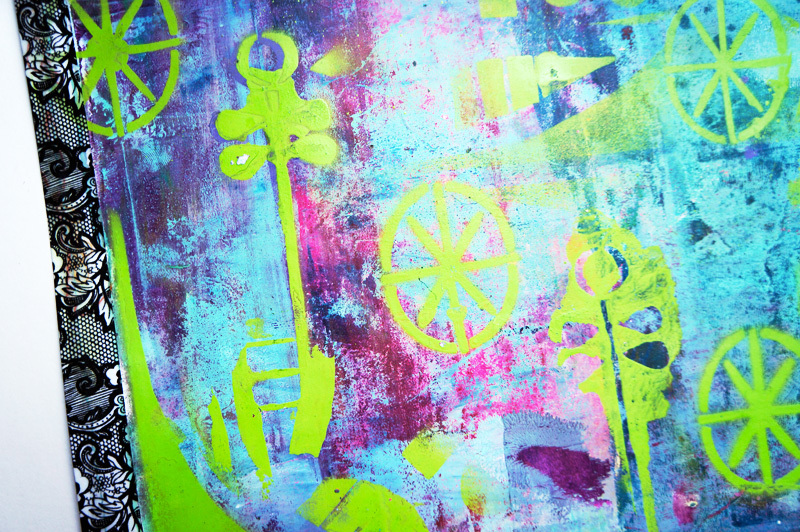 Alternatively, you can use spray inks or even a sponge and acrylic paint to get the same effect. I hope you enjoyed the tutorial! Here are some action shots of my folder. I think I need to make a few more! Kae Pea's elements are fantastic for this graffiti look, and now that you know how to mask off the ones you want to use, you can go to town using them all over your artsy projects. Thanks for stopping by! 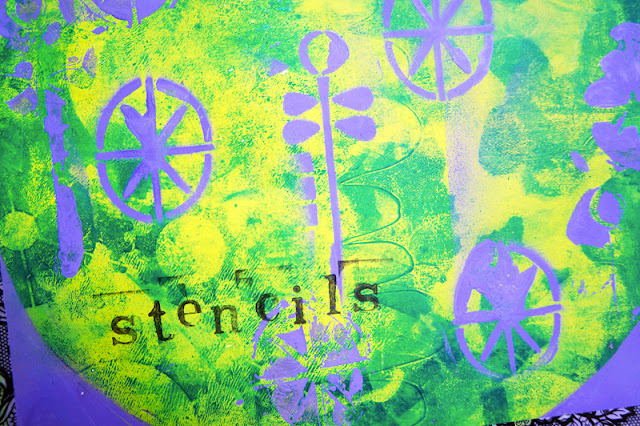 Don't forget to check out my blog for more stencil & artsy fun! Absolutely brilliant stencil folder, Samie. I have several that I have cut with my Cricut that tend to get lost. This will get me organized--ok, this will get me organized a bit! Thanks for this crafty (and beautiful) solution!